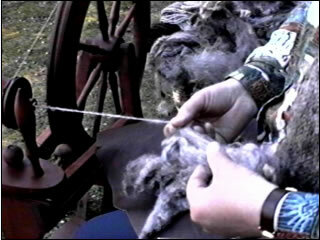 Spinning Wool – Carded and washed wool, silk, and cotton fibers need to be spun into yarns before they can be woven. At the simplest level this can be done by pulling some fibers out of a cluster of carded wool or cotton and rubbing them back and forth between the palms. A weight or spindle whorl can be attached to one end of the fibers to allow gravity to facilitate the process, making the spinning tighter. 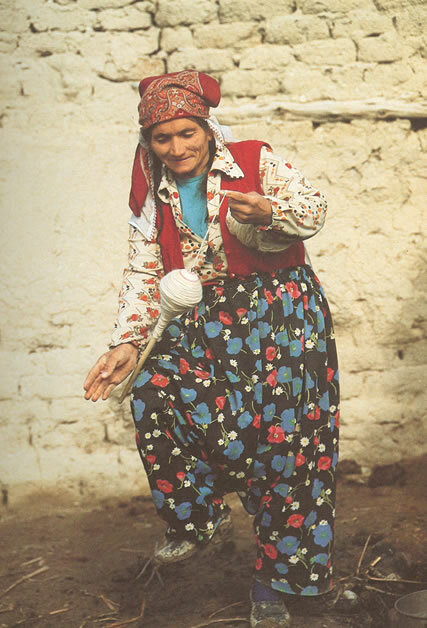 Hand spinning can also be aided by use of a spinning wheel. 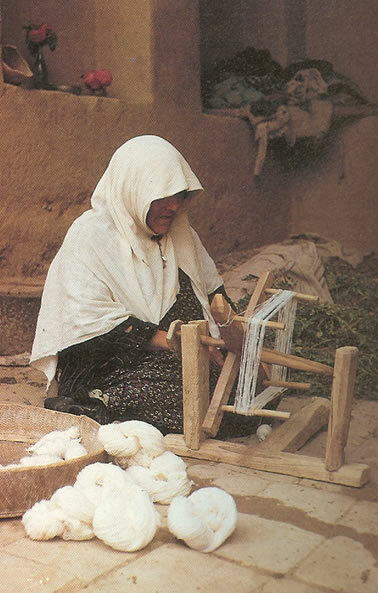 Since the fibers of cotton and especially silk are much finer than wool, a spinning wheel is more of a requirement in turning these materials into yarns.Individual spun yarns can then be plied together to make a stronger, cable- or rope-like yarn that is necessary in the warp threads of the rug foundation. Machine spinning became common over the last century, but since it is so mechanically regular, machine-spun wool eliminates many of the textural, reflective variations that animate the surface of rugs made from hand-spun wool. Consequently, a revival of hand-spinning has accompanied the revival of natural dyes in the past twenty years.